« Sat morn abuzz with knitting and sharing life adventures….more to follow over the weekend! 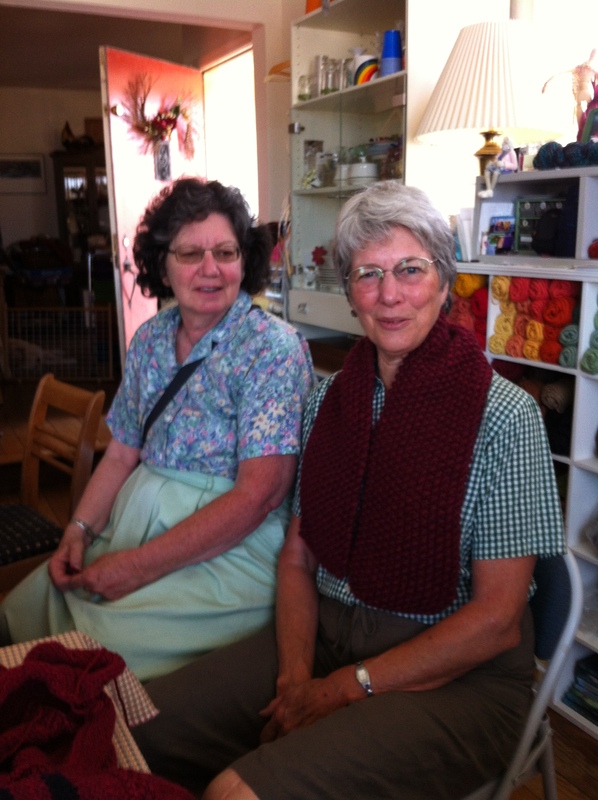 It was a recent Saturday morning knit “jam”…we were knitting and talking away when Nina says (very moved), “Carolyn, look at what Carol just gave me!” You can see Nina (on the right) wearing this lovely seed stitch burly/bulky yarn scarf….Carol is on the left. I don’t know their conversation…but I do know it was one of love and caring. This was indeed a special moment – Nina has recently lost her husband Abe after a lengthy period of illness. We’ve shared their journey for several years….we were all moved by Carol’s generosity of the gift of love in the form of a knitted scarf. Abe’s memorial is this weekend and our hearts are with Nina and her family!